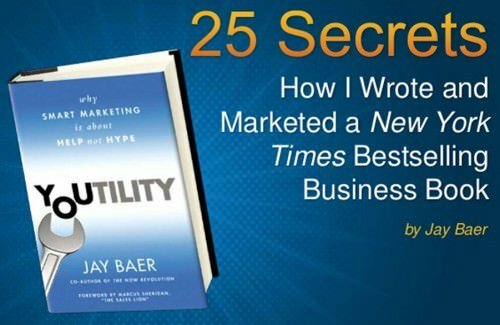 One of the key theses of my new book Youtility: Why Smart Marketing is About Help not Hype is “radical transparency.” Today, when a majority of prospective customers have access to high-speed Internet access in the palms of their hands, what’s the point in trying to hide? Why are you holding back? In Canada, McDonald’s has an amazing example of this philosophy. Called “Our Food. Your Questions” the program enables Canadians to ask any question about McDonald’s food, and get a straight answer. Someone asked “what’s in the Big Mac sauce?” And instead of saying, “we can’t tell you, because it’s a secret” McDonald’s had their chef create a video showing how to make the sauce at home. If the creator of Secret Sauce has no more secrets, why should your business? And that’s my philosophy here. I created “26 Truths About Me and Convince & Convert” a while back, and in that same spirit I give to you this presentation. 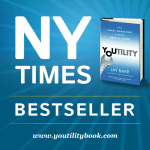 It explains exactly how I wrote and marketed Youtility, which debuted at #3 on the New York Times best seller list. Whether you’re an author or not, there’s lots and lots and lots of tips and ideas in there that I hope you’ll benefit from in your own work. I’d be happy to answer any questions you have in the comments below – like McDonald’s. And most of all, I hope you feel this presentation is a Youtility – marketing so useful, people would pay for it. (And remember, if you haven’t bought the book yet, check out the juicy free excerpt at YoutilityBook.com and then decide if it’s worth your money. and if you have read the book, I’d love an honest Amazon review. Thanks for your support).